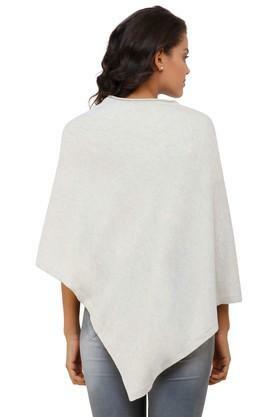 Wear this poncho presented by the famous clothing brand, Pluchi to feel relaxed during your maternity period. It has been crafted from a supreme quality fabric that makes it comfortable to wear for long hours. Featuring a slub pattern, it also has poncho sleeves that accentuate the overall design. 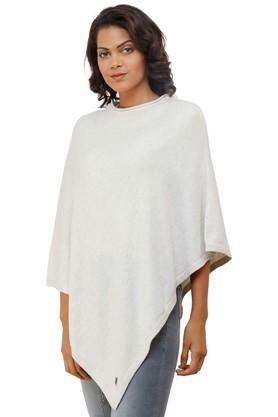 Style and comfort go hand in hand with this poncho, which has been crafted with care for to be mommies. 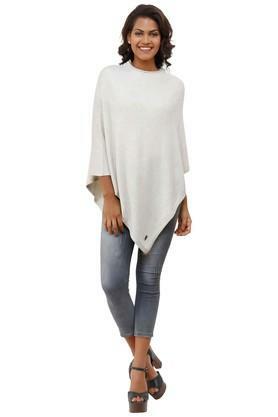 Team it with a top, a pair of culottes to look your best for your casual outing.